Participants at a Climate Change Adaptation Conference in Cape Town on Tuesday urged the International Community to help Africa adapt to climate change. The three-day conference, taking place in the African continent for the first time, brought together more than 1,000 government officials, scientists, experts and business leaders from around the world to connect, learn and inspire actions for climate change adaptation. The conference highlighted Africa’s vulnerability to climate change. Participants agreed that the impacts of projected warming in Africa are relatively extreme compared to the historical climate condition under which human and natural system have evolved. “Africa faces a significant challenge in adapting to climate change with the cost and damages of the climate change impacts rising rapidly with increased warming,” said Tlou Ramaru, Acting Deputy Director-General at the South African Department of Environmental Affairs. Addressing the challenges posed by climate change will inevitable require adaptation, but the intensity of the needed adaptation measures and the scale of damages will be tightly linked to the achievements or inadequacies of efforts made to curb emission, Ramaru told the delegates. 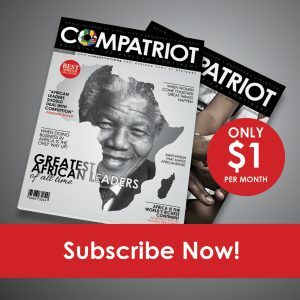 A technical report released at the conference showed that extreme weather events, including droughts, flood and heat waves are likely to become more frequent and more severe, particularly in Africa. According to the report, human health will be undermined by the risks associated with extreme weather events and increased incidence of transmittable diseases as well as malnutrition. Those African populations that are already most vulnerable to climatic variability, such as poor inhabitants of informal settlements, will become even more vulnerable, the report said. “We are therefore, looking forward to exchanging experiences and knowledge that will help the African continent to adapt to these impacts,” Ramaru said. He shared the experiences in South Africa where unprecedented extreme weather events have occurred in the past few years due to climatic variability in the country, ranging from severe storms and cyclones to a debilitating drought over large parts of the country. “The reality became more evident last few months when our government declared the current drought crisis across the country a national disaster,” Ramaru said. South Africa, he said, has just developed the draft National Climate Change Bill, which is currently published for public consultations. According to Ramary, the Bill will provide for the effective management of inevitable climate change impacts through enhancing adaptive capacity, strengthening resilience and reducing vulnerability to climate change, with a view to building social, economic and environmental resilience, and an adequate national adaptation response. 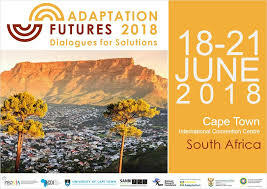 The biennial International Climate Change Adaptation Conference, also known as Adaptation Futures, is the world’s premier conference on climate change adaptation, organised by the UN Environment Programme.